"A superb biography--humane, judicious and as passionately curious as Sloane himself." When the British Museum opened its doors in 1759, it was the first free national public museum in the world. Collecting the World tells the story of the eccentric collector whose thirst for universal knowledge brought it into being. 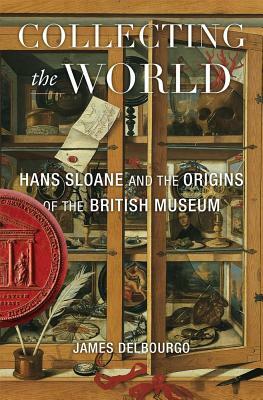 A man of insatiable curiosity and wide-ranging interests, Hans Sloane assembled a collection of antiquities, oddities, and artifacts from around the British Empire. It became the most famous cabinet of curiosities of its time. With few curbs on his passion, he established a network of agents to supply him with objects from China, India, the Caribbean, and beyond. Wampum beads, rare manuscripts, a shoe made of human skin: nothing was off limits, regardless of its human cost. The first biography of Sloane based on his complete writings, Collecting the World portrays one of the Enlightenment's most original and controversial luminaries. "Engrossing...situates Sloane within the welter of intellectual and political crosscurrents that marked his times." "A magnificent scholarly coup and an enthralling read... It conveys the excitement of original research as well as the thrill of tracking exotic curiosities to their source." "This book is a fitting tribute to Sloane's] contradiction-riven life. Collecting the World is about the torment of slavery, and it's about buttered muffins and about snakes shot on boats. It teaches us about how we know, how we organize and discipline our knowledge."